Having a hard time convincing people about your product or services? Are you ready to try a new approach to your sales technique? In this article, we’ll talk about Dr. Robert Cialdini’s 7 persuasion principles. In particular, how it can help you establish a rapport with your prospects. You are probably wondering why certain online entrepreneurs are crushing it with their sales, well the truth is they are likely using the techniques outlines in Cialdini’s book. 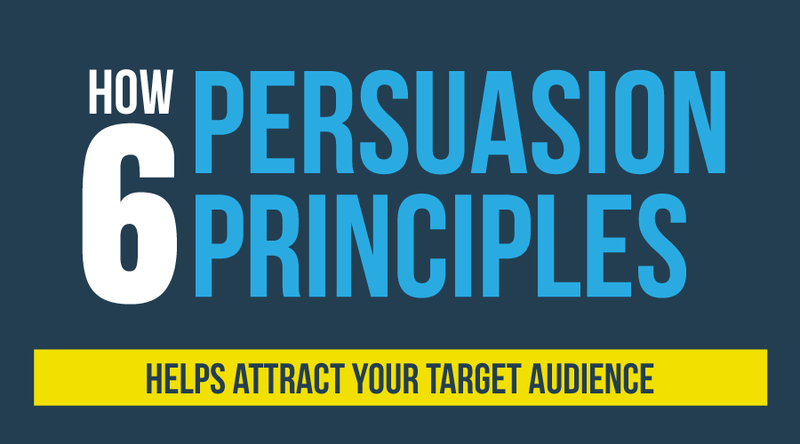 Once you learn about the 7 principles persuasion, you’ll have the additional tools to add to your marketing arsenal. When you give something for free, the recipient normally wants to reciprocate your gesture. And in content marketing, it’s usual to give “gifts” in the form of a free ebook or similar items. While not all will buy or subscribe, at least a substantial number will do so. Just make sure that you’re giving away valuable advice. There’s no point giving away free “content” if it’s common knowledge to everybody. This can actually have a detrimental effect on your blog readership and sales. Let me emphasize this principle by using my favorite Anime – Full Metal Alchemist as an example. Applying it in the real-world, to get a prospect’s attention, you need to give something that’s worth their time or money or both. Scarcity is another powerful tool for converting prospects. But what if there are hundreds like you selling the same product or service? How can you convince your reader that you’re selling a scarce resource? Cialdini pointed out that listing down the benefits will hardly impress your target market. You need to convince them that your product is special and unique. Don’t forget to tell the things they will miss if they don’t grab the opportunity. Principle 3: Respect My Authority! Readers tend to believe people who they see as an authoritative figure. People are much more respectful when dealing policemen in uniform or doctors with their diplomas prominently displayed in their clinic. In writing a blog or presenting your product, you need to present your credentials. But Benjie, how can they see my credentials? They can see it by the way you write or present your case. You don’t need to tell them about your accomplishments or degrees unless it’s really necessary. That might rub your audience the wrong way. Instead, tell or show them how your product can solve their current problem. And anticipate any questions or objections they might have in mind. It’s understandable that prospects are hesitant because they are not sure if the product suits them. Not to mention that they have to pay for it. What you can do is make your prospects take baby steps until they ready for that commitment to you. Remember about the giving of free stuff like an ebook or even a simple guide? If your audience accepts or downloads it, they’re taking the first step to become your future customer. You can now offer them the chance to buy your product or service. To sweeten the pot offer a discount should they decide to buy. Research shows that if people like you, they’re more likely to say yes to your proposal. You can use your blog to get a yes from your target audience. First, you need to conduct some research about things that your prospective customers will like. This includes their hobbies and passions. You can use the prospect’s preferences as a common ground to pitch your proposal. There are times when your word is not just enough for readers to say yes. This is where the principle of consensus comes in. In your blog, you can point out the number of customers you have as a means to persuade your readers. You can also post testimonials from your best customers. This way, you’re forming a consensus that you have a great product or service that people are willing to pay for. Now you have 6 persuasion tools at your disposal. The best part is that these principles allow you to get clients the ethical way. Hope you can put these principles to good use.